Visiting Dubai during Ramadan need not be a time to avoid but a chance to see and experience this deeply cultural and spiritual event. 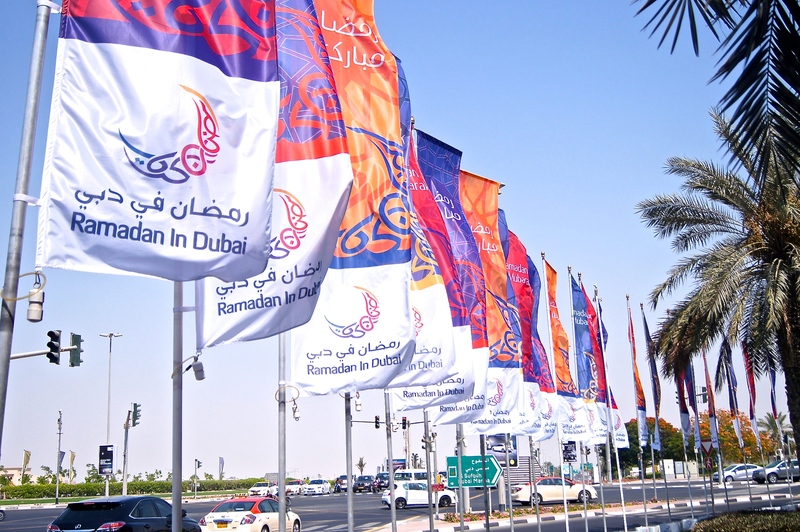 This is a recount of my experience visiting Dubai during Ramadan and what to expect. When I first booked my trip to Dubai, I didn’t even give Ramadan a thought. I had heard of Ramadan, but I wasn’t entirely clued in to what it involved exactly or how it might affect my trip. I had already booked and paid for my flights well in advance and I had worked out my five week itinerary around Southern Europe, so it was pretty much set in stone. As it got closer to the date of my travel, it suddenly dawned on me – I could be possibly visiting Dubai during Ramadan. A quick google search later for the exact dates and yes I was arriving on the first night of Ramadan. In a nutshell, Ramadan is a month of prayer and fasting for the Muslim community. During this time Muslims abstain from eating, drinking, smoking or anything that is deemed to be excessive in nature. This can also include playing loud music in public places and dance performances. It is a time when Muslims bring themselves closer to god by praying more frequently and behaving in a virtuous way during the spiritual month. Most importantly, this is practiced from sunrise to sunset. From sunrise to sunset, everyone (including non-muslims) is to follow the rules of fasting. No food or drink is to be consumed in public and smoking is prohibited during this time. It is a crime to eat in public. Eating in a car in public view is not permitted. Dress modestly – keep shoulders and knees covered. The timing of Ramadan is different each year, as it coincides with the lunar cycle. The sighting of the new moon will signify when Ramadan is to commence and continues until the next new moon is sighted. When I visited Ramadan began on the 18th June and concluded on the 16th July, 2015. 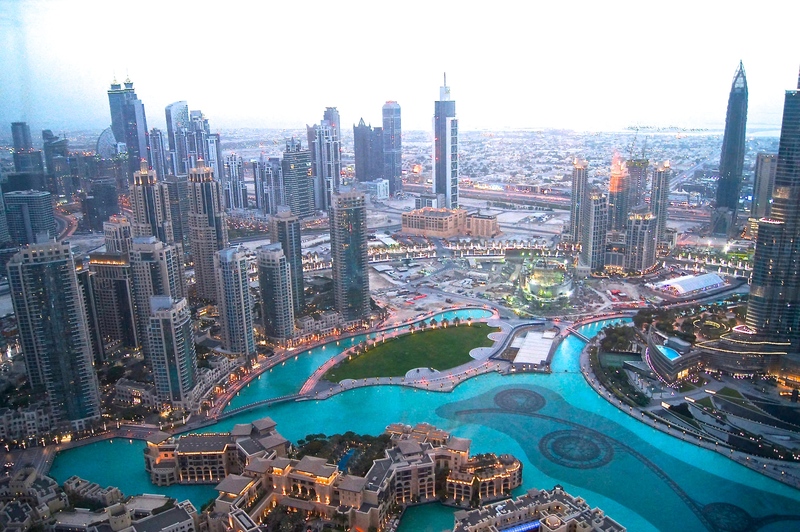 During Ramadan in Dubai, it will be a lot quieter than usual during the day. Restaurants and cafes will either be completely closed for the day or be open but not serving any food. Even if there is food/drink on display and you purchase with the intent on eating/drinking, you will not be allowed to consume it in public. You will need to find somewhere discreet such as the nearest hotel or wait until you are back at your own hotel. Whilst I was visiting Dubai, I just adhered to the same rules of fasting. It was no big deal for me whilst I was out and about, although I did carry with me a bottle of water at all times. Of course not everyone is going to feel this way, so my suggestion is to know where the closest hotel restaurant is to be able to eat a lunch meal. Most hotels will have at least one restaurant operating, so you will be able to eat as normal. 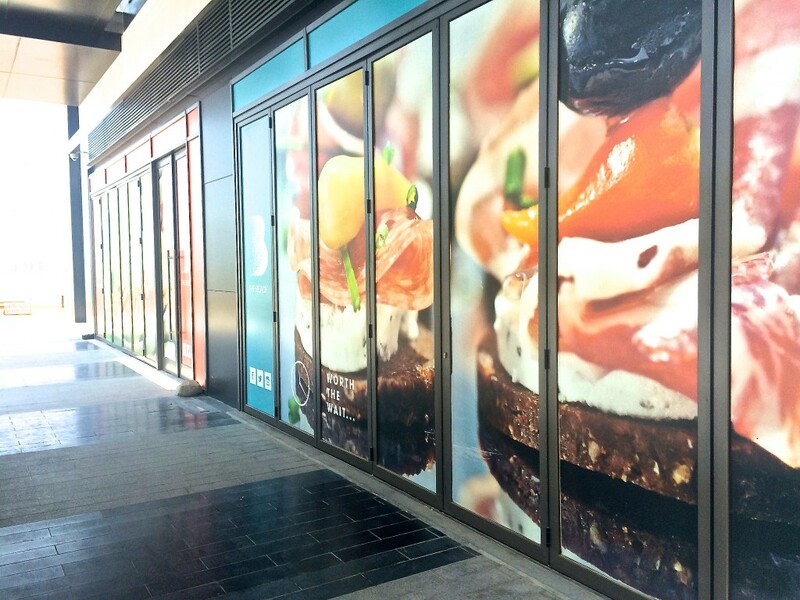 Don’t rely on cafes and restaurants in shopping malls to have discreet areas in which for tourists to eat. I met a fellow traveller on a bus tour who wanted to sit and have a coffee in the Emirates shopping mall. The cafe had a curtained off area but the staff there said that this person could not consume his coffee on their premises and suggested he drink it in the toilets. He refused and then ended up consuming it on the tourist bus. The whole time I was in Dubai during Ramadan, I never saw anyone consume food in a public area other than in hotels. There is some lenience for children, pregnant women and those with a medical condition such as diabetes, as they are exempt from fasting. Even if you fall within this group, it’s best to respect others who are fasting and refrain from eating in public. If you do decide to sit and eat in public, expect that you may be questioned by a member of the public or police as to the reason why. If you are questioned by police you will be given a first and only warning if you are a tourist. Beyond that you may have to pay a fine or even be arrested. During the day you will hear at various times of the day, prayers being broadcast over loudspeakers. I quite enjoyed hearing the prayers even though I couldn’t understand a word. It was kind of comforting when I found myself walking about alone and it really made aware that I was experiencing a different culture. Simply put, an Iftar is a meal eaten after sunset. It’s a time when families and friends come together to break the fast. Traditionally three dates were served to break this fast, as was done by the prophet Mohammad. I indeed experienced this whilst I was in a restaurant just prior to sunset. I had just sat down to order a meal and out came three complimentary dates on a plate and a glass or rose milk right on the scheduled time of 7.14 p.m (the precise time of sunset). 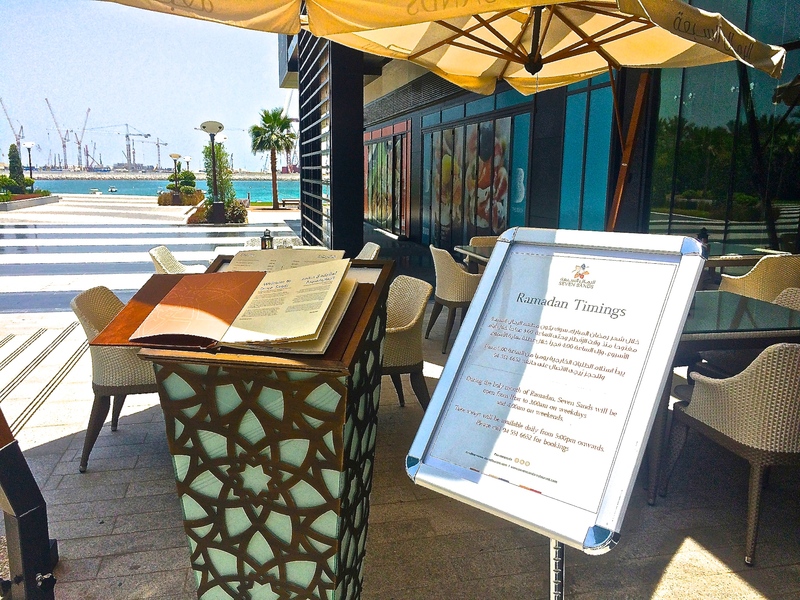 In Dubai, many restaurants and hotels will offer a multitude of different types of Iftar for both tourists and locals. It’s a celebration meal, where you will be treated to an all you can eat smorgasbord of food. In fact you will be spoilt for choice on where to find the best Iftar, ranging from the affordable to the more upmarket experiences. Iftars are offered at a fixed price and you will see them advertised everywhere. A closed restaurant during the day advising of it’s opening times during Ramadan and advertising it’s Iftar. 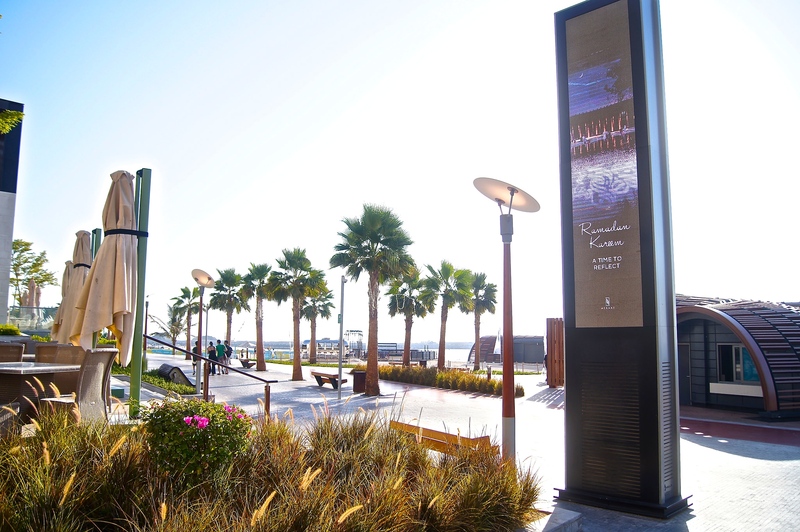 There are a number of positive aspects of visiting Dubai during Ramadan. A few things that I noticed whilst visiting Dubai during Ramadan was that I saw many tourists drinking bottles of water on tourist buses and on the beach. Some people did not adhere to the modest dress code at night. It was very quiet on the streets and on the beach during the day but the shopping malls were very busy. All tourist attractions run as normal.